Samsung Galaxy S2 To Get Android 4.0 Update This Month? 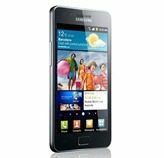 Will the Samsung Galaxy S2 receive an update this month – boosting it to Android 4.0 (Ice Cream Sandwich)? A site called AndroidAuthority (among others) is reporting tonight that the popular smartphone will receive an update this month. They point to a post on Samsung’s Israeli Facebook page as evidence – and apparently we will just have to take their word on it, because 1) the writing was in Hebrew and 2) the post has since been deleted. They say that the post on that page announced that an update to Android 4.0 would roll out to Samsung Galaxy S2 phones starting March 15. They also point out that the version that users would receive in Israel is an international one, and that US versions would likely see a delay. So while its very possible that the admins of Samsung’s Israeli Facebook page jumped the gun and outed a secret, even if they did, it doesn’t mean that AT&T, T-Mobile or Sprint will have an update for us in the US any time soon. Each company would need some time to put its ‘face’ on Ice Cream Sandwich before they roll it out on their systems, their own layer of branding and apps. And there’s a good chance they won’t all be ready at the same time. If we do get some firm dates on a US rollout, we will let you know here at CP, but it doesn’t look like this latest hubbub will be it.